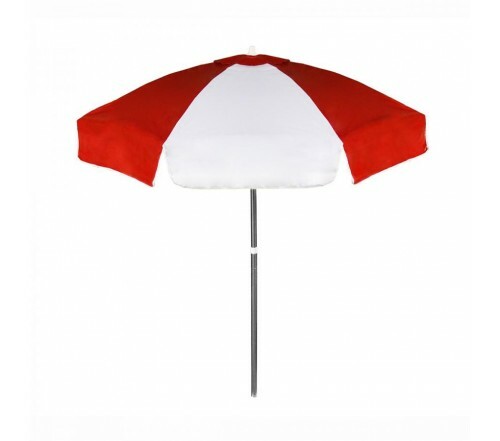 Personalized red & white 6.5 ft vinyl patio/cafe umbrellas are very popular and sought by wide range of businesses for outdoor and indoor presentations. Features - 2 piece pole & tilt feature, wind vents and red & white vinyl canopy. Imprint area - 20" W x 20" H - Panel and 27" W x 7" H – Valence. Promotional navy & white 6.5 ft vinyl patio/café umbrellas can deeply influence an onlooker’s consciousness and helps to build up reliability for brands. Makes a great POP item!